Looking for a used car dealer near Flower Mound, TX? 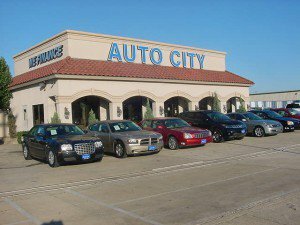 Auto City Credit offers a large selection of used cars available near Flower Mound, TX. View our used car inventory including used car specials and affordable used cars. Bad credit auto financing options can provide affordable payments, and used car special offers provide an opportunity to save money. Ready for a test drive? Contact us in order to schedule an appointment and test drive one of our pre-owned vehicles at our used car dealership near Flower Mound, TX.